AC/DC have decided to halt the rest of their US tour after Brian Johnson was warned he is going deaf. The band posted a statement on their website saying doctors had advised Brian Johnson to stop touring immediately or “risk total hearing loss”. AC/DC said they would likely perform with a guest vocalist in rescheduled shows later this year. Brian Johnson, 68, has been lead singer with AC/DC since 1980. The news is the latest in a series of setbacks for the band. Former drummer Phil Rudd was convicted last year of drug possession and making threats to kill. He served eight months of home detention. In 2014, it emerged that founding member and guitarist Malcolm Young would not be joining the band on tours as he was suffering from dementia. 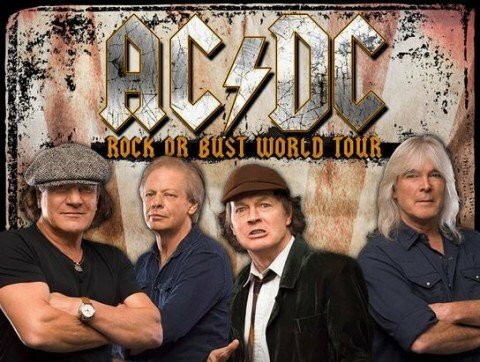 AC/DC released its latest album Rock or Bust in November that year and has been touring ever since to promote it.